Galle, a historical city located at the southern tip of Sri Lanka, was devastated during the 2004 December Indian Ocean tsunami that wiped out two thirds of the shores of the beautiful island. The bustling city of 200,000 population and growing, consists of urban settlements and fishing and agricultural communities. On that fateful day the tsunami swept through the densely built areas surrounding the centre of the city. K. Chandralatha, 38, who lived with her two children and husband in a house located 5 kilometers heard the roar of the waves and ran uphill with her family. Their house and belongings were lost in a few minutes. Eight years after the tsunami, Chandralatha has carved for herself a new future. For the past two years she has been elected the head of Dadallawatte co-operative, a community bank that gives loans to low—income people living in the vicinity. The fund was the brainchild of Chandralatha and her women friends. “We were receiving tsunami aid during the disaster and so we decided to save half of the money we got. This was because we knew that aid will not come forever. We realized that unless we kept some money back we would face economic hardship in the future,” she explained. The project started small—fifty percent of their financial aid was collected between 20 women. The total amount was around US $ 2000. They deposited this amount in the local bank. The interest they received was 12 percent. Then they decided to start a fund for the community. They discussed how to launch this project because they had no experience and training to start a new venture on their own. 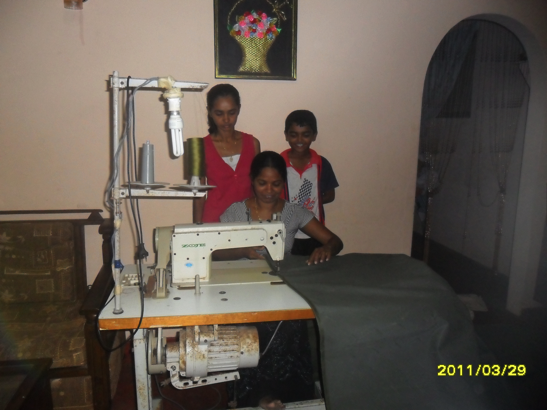 Chandralatha explained the first step was to approach a local non-governmental organization in Galle for help. They received trained in accounting and management for six months by HELP-O. an ngo. Soon after they launched their small co-operative which has members who pay a monthly fee of less than US 1 dollar. The money is collected and extended on loans to local people. Women are the major borrowers. They borrow the money to rebuild their homes or start a business. Co-operative leaders are also women who are elected during a two-year term. Chandralatha has been re-elected several times. Their venture is so successful that she has visited other countries in Asia to learn from similar ventures also managed by women. “I was a simple housewife who had no dreams to become an entrepreneur before the tsunami. Despite loosing everything, I have learned to think of the Indian Ocean as an opportunity for myself and my female friends and colleagues who manage the co-operative. We have rebuilt our homes, support education for our children and also learnt new skills and are empowered after the disaster,” she said. 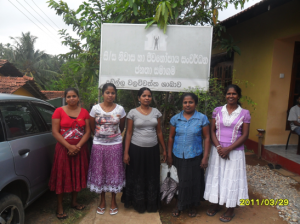 Severalsimilar co-operatives have been established in Galle in low-income groups. The local co-operative system has become a popular symbol of tsunami aid that has contributed to sustianble recovery. Chandralatha`s advice to Japanese women who are now working towards recovery in the Tohoko areas devastated in the tsunami, is never give-up. “Women can become leaders if they do not give up their efforts in the face of any hardship,” she said.